No homeowner wants to deal with a rodent invasion. These animals can wreak havoc on both a home and a homeowner. Making matters worse, one rodent can quickly turn into an entire family of rodents. 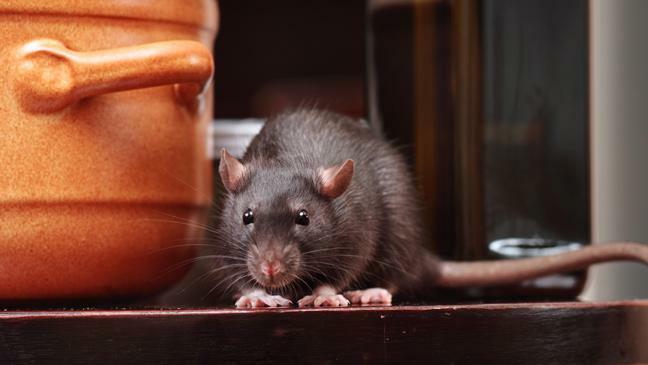 In this post, you will learn four dangers of rodents invading your home. Rats Carry Diseases: Rodents are certainly a nuisance to have in a home. However, these animals can also carry many diseases, ranging from minor to potentially deadly. Diseases carried by rats can include Lassa fever, rat-bite fever, leptospirosis, and various hemorrhagic fevers. Having a rodent infestation means that there are likely many new diseases being introduced into your home. It is imperative that the potential for so many diseases is removed from your home as soon as possible. Allergies Could Worsen: Rats leave behind all sorts of traces including hair and droppings. Many people can develop new allergies when rodents have invaded. In addition, those with mild allergies could find that rodents are triggering worse allergy symptoms. Children who live in homes where rodents are present could develop a new instance of asthma. Getting rid of rodents allows you to breathe easier and possibly experience fewer allergies. Destructive to Property: Once rodents have invaded a home, they want to make it their own. These animals are naturally destructive and can wreak havoc on a home. Walls, floors, and any other surface are all prey for a rodent. Rodents use their teeth and claws to destroy anything in their sight. Walls can be scratched and eaten through by these animals. Rodents will also likely wreak havoc on any carpet nearby, ripping and tearing it apart. Calling a rodent control company early ensures you won’t be paying expensive home repair costs down the line. In many cases, rodents can wreak havoc at such a rate that is hard for a homeowner to accurately assess the damage being caused. Rate of Reproduction: What many homeowners might not be aware of is how fast a rodent problem can spread. You might see a rat scurry across your floor and think nothing of it. However, behind your walls could be an entire family of these rodents, destroying your home from the inside out. If there are one male and female rat within this group, rapid reproduction could occur. One rodent can soon spiral into hundreds of these animals in your home. It is always important to call a rodent removal company if you have the slightest inclination that rodents are in your home. In closing, rodents can cause many bad things once they’ve entered a home. The large numbers of disease that rodents carry could mean they are spread to your family. You can also develop new allergies when rodents have invaded your home. In addition, those with preexisting allergies could find their conditions start to worsen. Rodents will carve a path of destruction within any home they invade. The rate at which rodents reproduce could cause even a small problem to quickly spiral out of control.